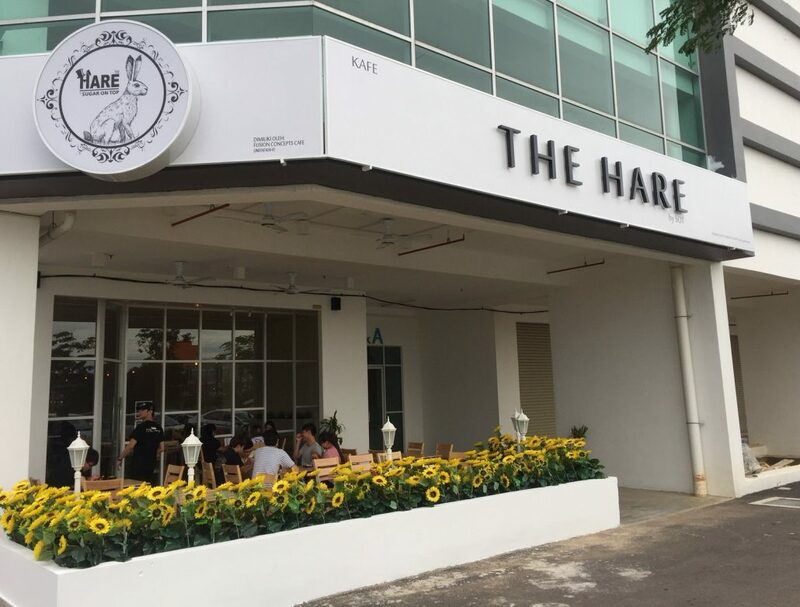 Newly opened in September 2016, The Hare by SOT is a simplistic theme café at Taman Mount Austin. 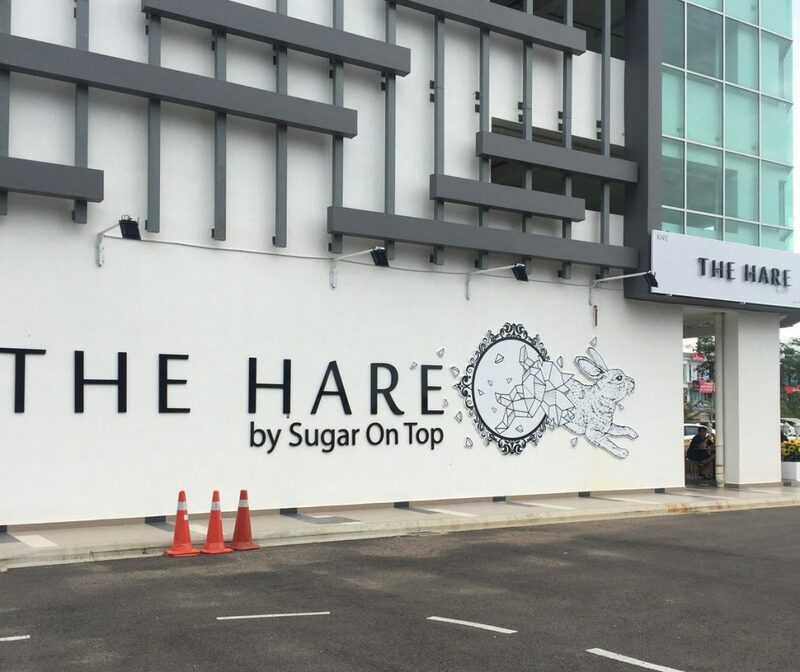 From the outside, this cafe can be easy identified with a large hare art on the wall of the café. 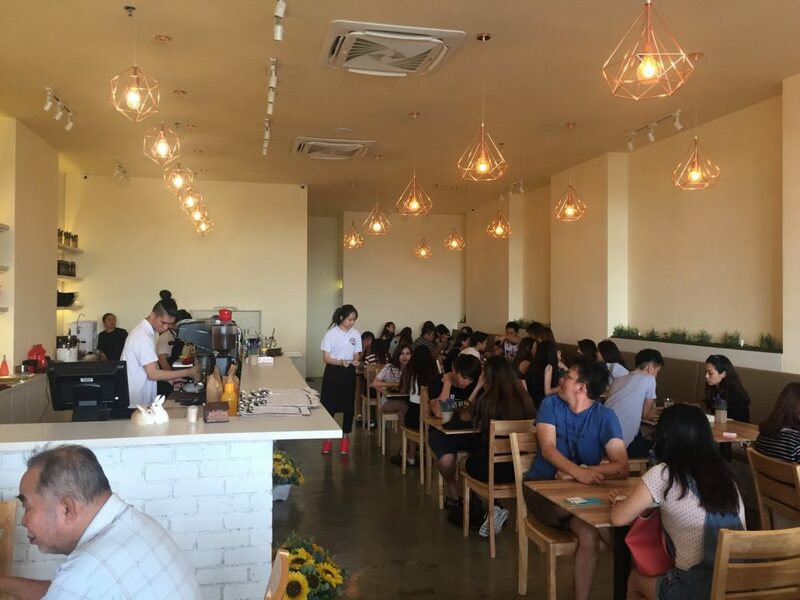 SOT café has an interesting tagline. Its’ interior is bright and classy. However, the seats are rather close to each other. We reached at around 4pm and we had to wait for a table. As there weren’t many people around Austin Height during that time, we didn’t expect it to be full house. We managed to find a table outside for 6 of us. Even though we did not have a seat inside, it was very windy and relaxing. 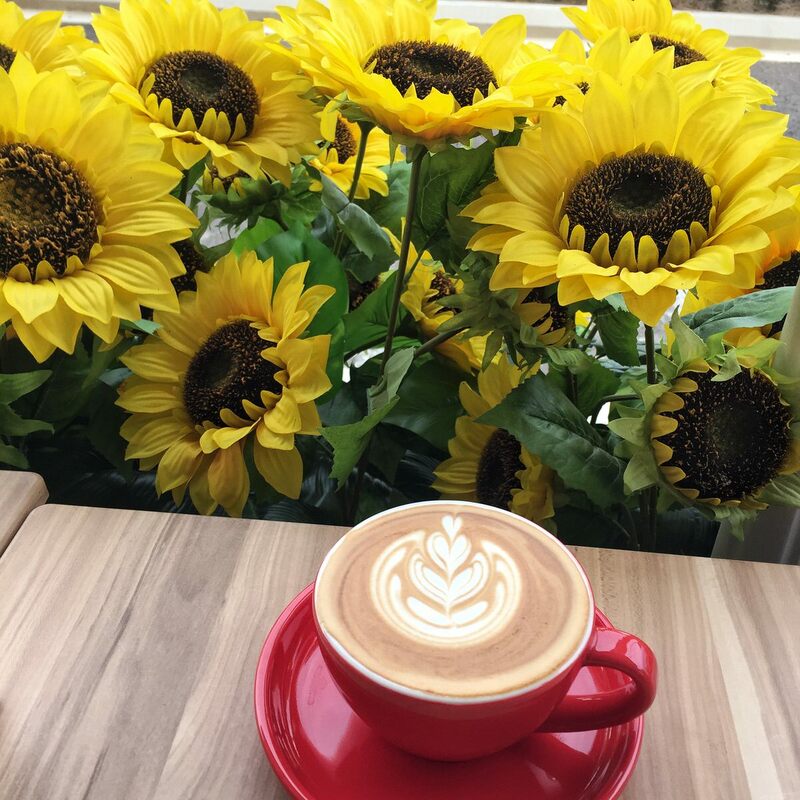 The seats outside were designed in white dreamy wall surrounded by artificial sunflowers. While there were 4 different pasta for us to choose from, it took us awhile to choose between the Signature SOT Chilli Crab Pasta and Classic Carbonara Hare Style. We finally went with the Classic Carbonara and it did not disappoint us. The pasta was reasonably priced at Rm 20.9. The portion was generous and served with an egg yolk in the middle. 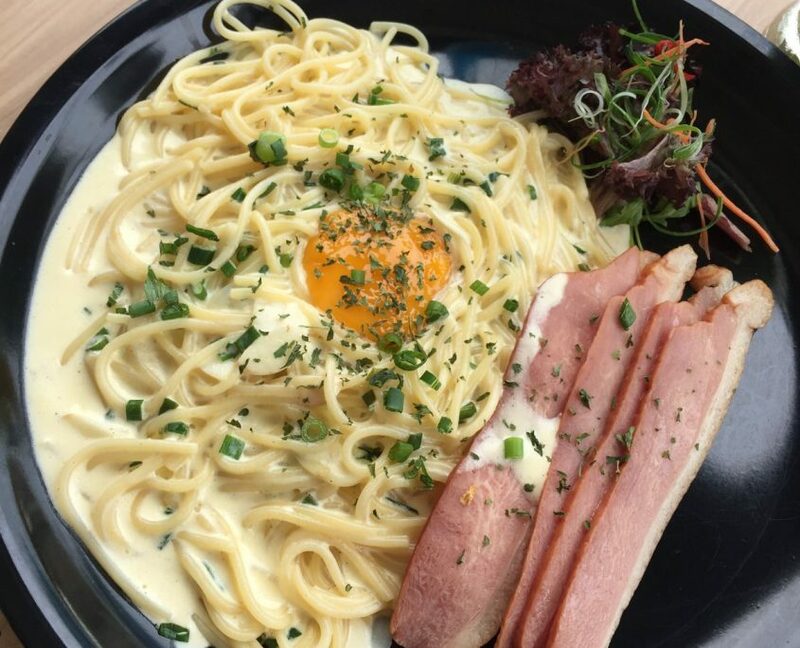 The pasta was decent, and the Carbonara sauce with egg tasted great. 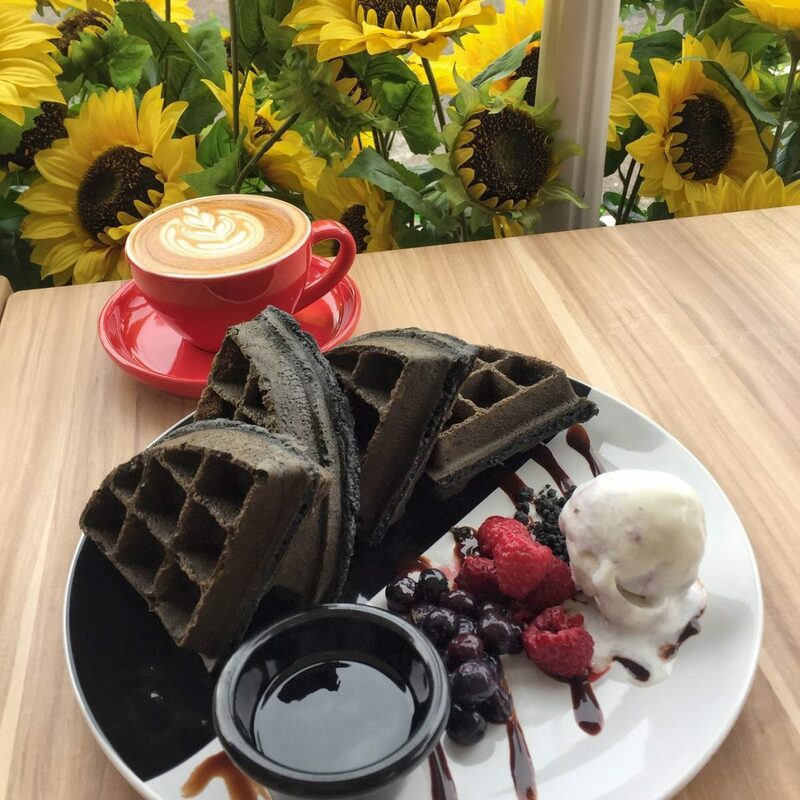 Since SOT Charcoal Waffles (RM17.90) is their signature dessert, it is something we MUST try! The charcoal waffle was pretty good, moderately crisply on the outside, moist and spongy inside. The waffles were slightly denser than what I preferred. Ice-cream with waffles is always a perfect combination! 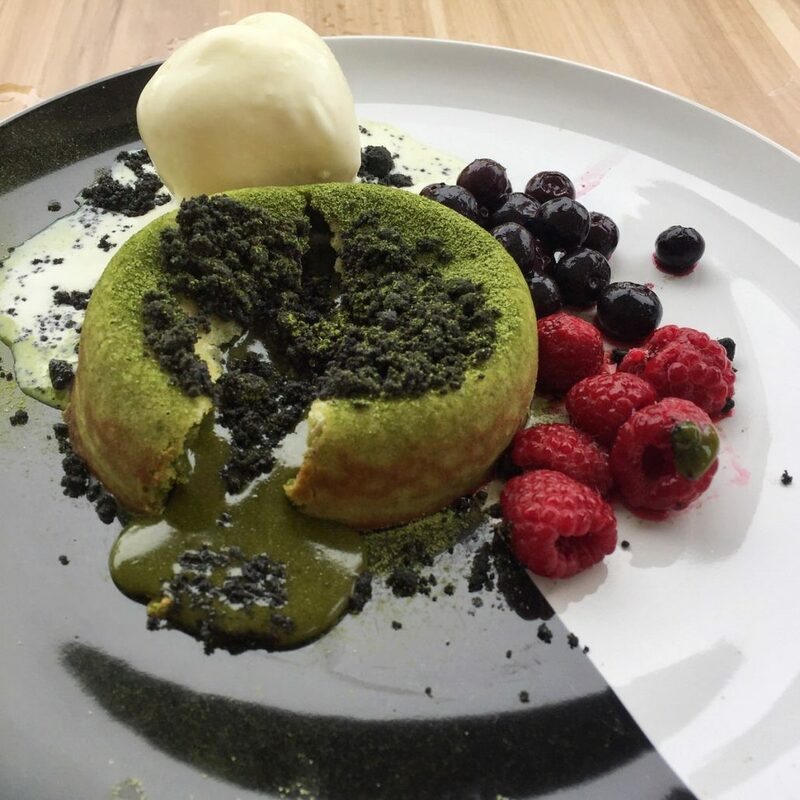 Warm matcha lava cake served with ice-cream and berries. 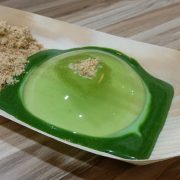 Hokkaido Matcha Hotcake (RM16.90) exceeded our expectation! We really love this and would recommend non-matcha fan should try it too! As we cut through the hotcake, the matcha oozed out immediately. It’s really yummy! The hotcake itself tasted slightly bitter but the lava has a rich flavour to enhance the overall sweetness. I found this more special than the Signature SOT Charcoal Waffles and would choose this for dessert if I could only choose one! 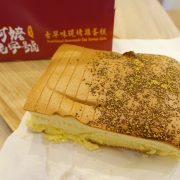 They also have another flavour which is the English Earl Grey Hotcake which we have yet to try! Lastly, for the drinks, we tried the Salted Caramel Latte (RM12.90). If you’re looking for a place with delicious food and gorgeous dessert, The Hare is the perfect place for a relaxing and filling afternoon. Sit outside if the weather isn’t too hot! We enjoyed ambience outside and the garden feel. 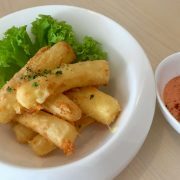 Try it and tell us what do you think about the food here? Comments below!